With its world-class academic and research facilities, and a large bioscience workforce, New York is playing a critical role in the development of new medical therapies and devices. Central to the growth of these life-saving ideas are the biotech incubators that nurture and support them. Two of the cutting-edge incubators that illustrate the many different New York State initiatives and programs–including a $620 million Life Science Initiative and a statewide network of Innovation Hot Spots and Incubators–are fostering life science innovation at its earliest stages. One of the largest incubators, Johnson & Johnson Innovation LLC’s new 30,000-square-foot facility in SoHo, is a collaboration with the New York Genome Center. Called JLABS @ NYC, the internationally collaborative incubator is already home to more than two dozen bioscience startups. For Kate Merton, the head of JLABS incubators in New York City, Philadelphia and Boston, giving healthcare entrepreneurs affordable space in urban centers where they can test their ideas is just one key part of the package. Life science technology helps develop life-saving treatments. Learn how New York is giving companies what they need to grow. New York State, she adds, is an ideal location for life science businesses because the state uniquely benefits from top-tier academic and research communities that are also a pipeline of technological innovation. The state is also third in the nation, and the city second, for National Institutes of Health grants. Among the 29 diverse JLABS member startups conducting cutting-edge research and bringing those findings to life is Certa Dose, a company started by an emergency room physician who developed a simple syringe process to alleviate the misdosing of medication for children; EpiBone, a company developing technology to create bone tissue from a patient’s own cells for use in bone grafts; and Holmusk, a digital health and data science company, developing the world’s largest platform for behavioral health, based on the latest clinical trials and real-world data. According to Merton, New York is poised to become a hub of biotech research and industry for years to come. Just 30 miles north of the city, in lower Westchester County, BioInc@NYMC is also betting on the collaborative potential of established and emerging bioscience companies. Located on the New York Medical College campus in Valhalla, the incubator offers shared office space and fully-equipped wet lab space at an affordable rate that gives high-potential startups with minimal capital access to top-notch resources. One recent startup at BioInc has developed a direct doctor-to-patient telemedicine platform that allows doctors to hold reimbursable virtual visits with their patients in a HIPAA-compliant video environment. But the sponsored professional services from partner area businesses, says Novick, are what really help these new companies refine their business plans, conserve capital and build strong teams so that their businesses mature at the same rate as their innovative products. 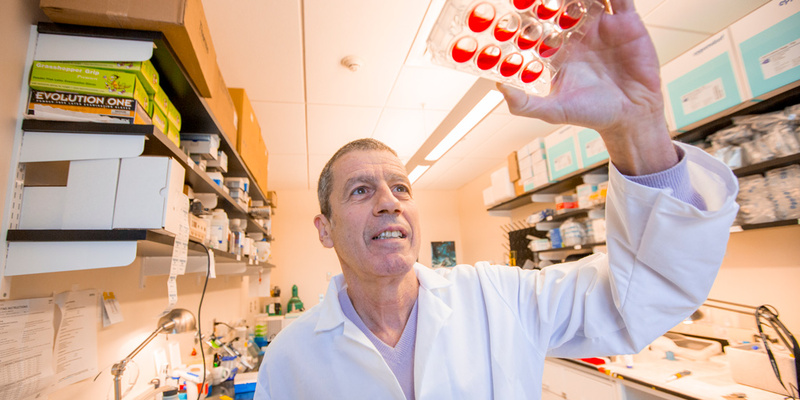 Yaron Hadari of SHY Therapeutics has been a BioInc client since 2015. 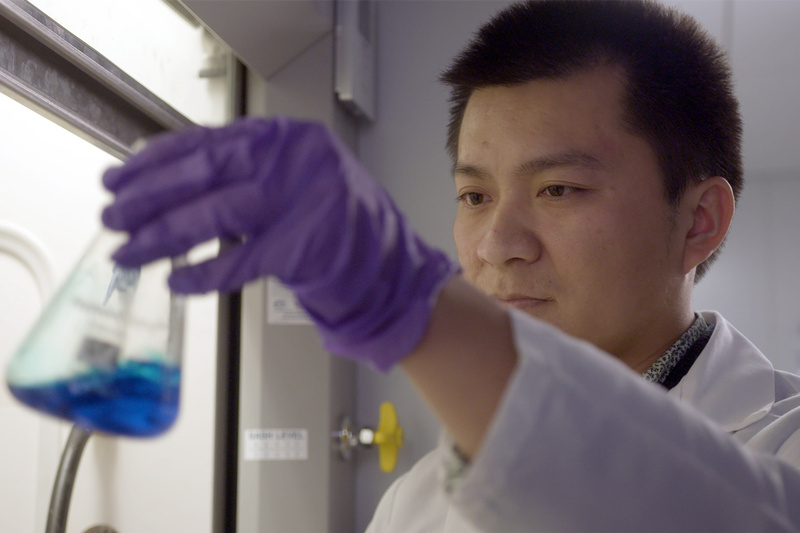 His company develops therapies that fight cancer and inflammation. Novick’s reach, as a member of county and educational task forces, also extends to consulting on lab skills curriculum for the growing life science job force in local high schools and colleges and guiding incubator companies to new local spaces when they graduate from the program. It is all, she says, part of elevating awareness of the growing life science industry as it matures across the region and the state. BioInc also regularly taps into the wider business community with educational events that introduce life science entrepreneurs to experts and key resources they will need as their companies grow, including intellectual property and patent attorneys, clinical trials experts, biostatisticians, equipment providers and contract research organizations (CROs). A recent guest was Dr. George Yancopoulos, the co-founder of Regeneron, a global leader in biotech innovation based in nearby Tarrytown that invents life-transforming medicines for people with serious diseases. “We are also forming partnerships with regional incubators, accelerators, co-working spaces and other entrepreneurial support organizations to share best practices, expand the conversation about entrepreneurship and share the Hot Spot benefits broadly within the region,” said Novick. To find out more about the state’s certified business incubators, learn more at https://esd.ny.gov/certified-business-incubator. For more information about the life science industry in New York State, visit: https://esd.ny.gov/life-sciences. Learn more about how the state's certified business incubators are supporting early-stage and small businesses. Countless medical discoveries have been made in New York, and companies in the state continue to lead innovation in biotech and life science.